The South Korean giant, LG had recently announced four new devices in the X-series family named as LG X Mach, X Max, X Power, and X Style. Now, The company has launched an another smartphone in the K-series lineup called as LG K3 on Boost Mobile and Virgin Mobile, which are owned and run by Sprint. LG K3 is the fifth smartphone in the K-series family followed by LG K5, K7, K8, and K10. The device comes with an entry level specifications with an affordable price in range. The handset offers a Cheese Shutter and Gesture Shot features. LG K3 smartphone flaunts a 4.5-inch IPS FWVGA display with 854 x 480 pixel resolution that provides a 218ppi of pixel density. Under the hood is powered by Quad-core Snapdragon 210 processor clocks at 1.1 GHz paired with Adreno 304 Graphics. It runs on the latest OS that is Android 6.0 Marshmallow overlaid. The device supports dual SIM and dual standby and offers a 4G LTE network. It also provides the mobile hotspot and roaming plans in Mexico. Other connectivity options include on the device such as 2G, 3G, Bluetooth, GPS, Wi-Fi and A-GPS. It houses 8GB internal storage which will further expandable up to 32GB via microSD card slot coupled with 1 GB RAM. On the camera department, It bears a 5-megapixel autofocus rear camera with LED flash and an HD camcorder. In the front, it has a VGA front shooter for taking selfies and video chats. The device is equipped with a 1940mAh capacity which claims to deliver a battery juice throughout the day. It will be available in Black and White color variants and is priced at $79.99. It has already started the pre-orders from today and will be available the device in all retailer markets from next week. 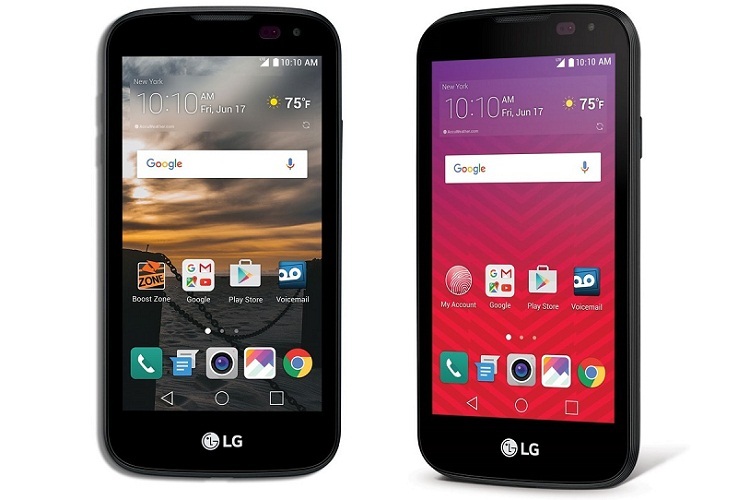 Recently, LG K8 V smartphone made available on Verizon Wireless Communications and priced at $144 (approx. 9595). It also launched the LG Stylus 2 Plus smartphone in Taiwan with the price tag of $340.